I have been using this shampoo off and on for years. In the beginning the shampoo seemed to make my hair feel drier. Because I was adamant I wanted to continue to use the shampoo and get the results I decided not to leave shampoo on longer than necessary. Happy and proud to say I could see the growth of my hair. Excellent product. 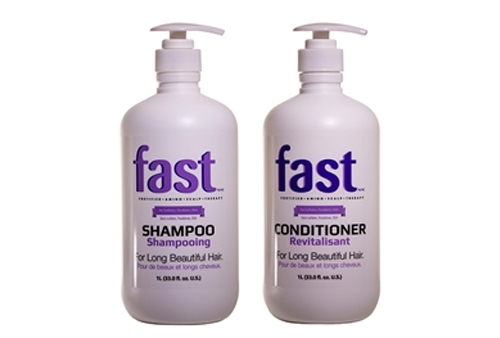 The shampoo and conditioner leave my hair soft. I love all Nisim products that I have tried!!! It really has made my hair grow and it's also much healthier!!!! while using this product my eyes would get irritated and my face swollen, this happened for a period of a year, I was under prednisone treatment because we couldn't figure out the cause. It turned out that I developed and allergic reaction to the preservative used in FAST and had to stop using it. Nisim should consider making this product without preservatives like Methylisothiazolinone . 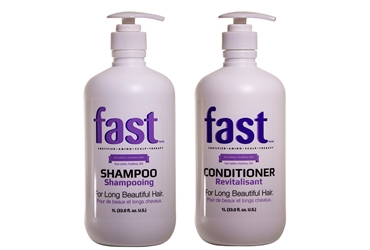 I have been using this product for about 4 months now and u hair has grown little over 5 Inches so yes it does work and I continue to use it because I like the way my hair looks when I use the products... My hair grows VERY slow so I so beyond happy when I noticed I needed to get my highlights done more often... Anyway it worked for me!! !